KARACHI: As many as 7,882 federal government’s housing units, worth trillions of rupees, remain illegally occupied at various prime locations of Karachi- the financial hub of the country. 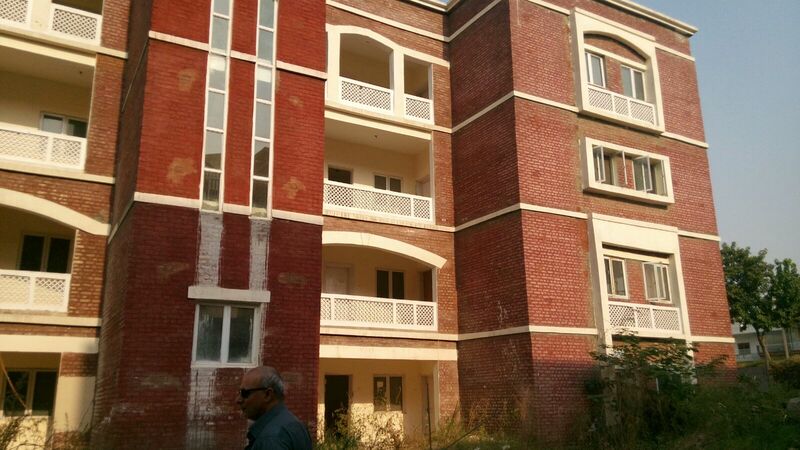 According to an estimate, the federal government is yet to recover around Rs3.2 billion rent in consideration against these houses and flats on account of rent which is unpaid. The occupied properties are located in different areas including Jahangir Road (both sides), Martin Quarter (Garden), Federal Capital Area (Liaquatabad), Jail Road East & West and others. According to reports, the federal government employees and their families are either living in these housing facilities themselves or have sold or sub-let the property to private citizens on rent. The officials of Federal Investigation Agency (FIA), who were investigating this case for last many years, said that most of the allottees had sold these houses without documents or on a simple stamped paper. “We are not allowed to register FIR against those employees who sold the property or getting rent from there,” the official claimed. “The FIA director has been requested to give permission to register FIR against those employees who had sold these properties as we have all details including banking transactions etc in this regard,” he added. A number of private shops, restaurant and commercial buildings have been constructed on federal government land in main Saddar and Garden areas, which are the main commercial areas of the city. The private parties with the help of government officers of the State Department are running their businesses from illegally occupied federal land. The federal government had also issued notices to the FIA offices, Pakistan Information Department (PID) and others to vacate the land in front of Saddar Passport Office as it wants to construct judicial complex there. In pursuance of the directives of the Supreme Court (SC), Ministry of Housing and Works (H&W) spurred into action before the election 2018 and decided to vacate the illegal and unauthorised occupation of government-owned accommodations in Karachi. A senior FIA official told Pakistan Today that in the first phase, the illegal and unauthorised occupation of government accommodations would be vacated where a total of 7,882 government residences were illegally occupied, including those held by families of the deceased government servants since 1970s. In this connection, the SC had asked that illegal occupants are not the owners of federal government residences or flats. It is pertinent to mention here that apex court on May 10, 2018, took notice of illegal and unauthorised occupation of government residences in a human rights case and directed the federal government as well as the provincial governments to provide details of such properties. Seeking a report from the related departments with respect to irregularities in the allotment of the residences within 15 days, the top court had given an ultimatum of one month to all illegal allottees to vacate the government residences. In pursuance of the direction of the SC in Human Rights Case no 20746/2018, a meeting was held in May 2018 which was chaired by the federal secretary of H&W and attended by Sindh General Administration Secretary Zulfiqar Ali Shah, Sindh Rangers (Works) GSO-1 Lt Col Arshad and Sindh Police DIG Dr Amin Yousufzai. The purpose of the meeting was to formulate a strategy to get vacated the government accommodation from illegal unauthorised occupants. During the meeting, it was principally decided that the government accommodation shall be vacated from the occupants. The advocate general on record informed the Supreme Court about the unauthorised occupants of government land at which Chief Justice of Pakistan (CJP) Saqib Nisar inquired about the efforts made by the state to vacate the residences from these occupants. The Supreme Court (SC) had dismissed a stay order petition by residents of Martin Quarters among other government housing areas and ordered the government to continue the process of vacating the houses. Government employees including women and children protested outside the Supreme Court Karachi Registry against the verdict as state officers were ordered to wrap up the matter of clearing illegal occupants of Pakistan Quarters and Pakistan Secretariat within 10 days. The court further ordered state officers to make their decisions after hearing the individual petitions by the residents and said that the applications of all residents of government quarters should be reviewed. A report submitted by the deputy attorney general stated that 4,168 government quarters have been occupied illegally, 639 houses in Martin quarters, 301 in Patel and 49 houses in Garden and Pakistan Quarters, while illegally occupied residences in Bath Islands have been vacated. The report read that advertisements have been published and final notices have also been issued to the residents. The federal government had declared families living in several federal housing colonies illegal occupants. The colonies include Pakistan Quarters, FC Area, Martin Quarters, Clayton Quarters and others. Many households living in these localities have been there for decades and they also claim to be legal owners of their houses. Most of the residents of Pakistan Quarters claim that the residences were not the property of the federal government and the housing units were constructed on the evacuated property. According to the residents, the federal government has not spent a single penny since 1980 for the maintenance of those quarters and they have themselves maintained the houses.